In response to the rising rate of breast cancer, women are constantly being reminded how important it is to get regular mammograms. But a mammogram is a screening tool with some real limitations. It did not offer any advantage to women ages 50 to 59 who were being tested for cancer, according to a Canadian National Breast Screening Study conducted two years ago; the group getting a physical exam plus a mammogram had the same breast cancer death rates as the group getting an exam alone. It also carries a high rate of inaccuracy, both positive and negative. In other words, it sounds the alarm for cancer in up to 10 percent of women who don’t really have it, and doesn’t find it in 10 to 30 percent of women who actually do have it. And since a mammogram is essentially an X-ray of the breast, women are exposed to a small amount of radiation in the process of having one. Perhaps we could live with these problems if mammography were the only option. But it isn’t. Another promising screening method is breast thermography, which relies on a heat-sensing infrared camera to scan for abnormalities. Its noninvasive, it’s safe, and it has a high level of accuracy when used as a tool for ruling out cancer. Here’s how it works: Most objects including human skin emit a certain amount of infrared light in proportion to their temperature. Thermography uses this light to map the surface temperature of the breast. That’s important because abnormal tissue growth can raise the temperature of the area of the breast it inhabits, and show up as a hot spot in a thermogram. With the use of thermography we can often detect cancer up to ten years in advance of when it would be picked up in a mammogram or clinical breast exam, according to the International Academy of Clinical Thermology. And thermography appears to be better than mammography in determining whether a woman is cancer-free. In a four-year clinical trial published last year in the American Journal of Roentgenoloqy, researchers used thermography on 769 patients who had just gotten suspicious mammogram results. Of the women identified by thermography as cancer-free, only 3 percent turned out to have cancer. (Results were confirmed by follow-up biopsies.) This is much better than the 10 to 30 percent rate for mammograms. The researchers concluded that infrared imaging would be a valuable adjunct to mammography in assessing the likelihood of cancer. With thermography, we can often detect cancer up to ten years in advance of when it would be picked up in a mammogram or clinical breast exam. Think how many lives it could potentially save by alerting women to cancer early enough to do something about it. And it could go a long way toward reducing the number of needless biopsies performed as well. Each year in the United States more than a million are performed, and approximately 75 to 80 percent prove to be benign. Instead of using a biopsy to rule out some cancers, thermography could be used instead. Thermography is also much less invasive than mammography because no tissue is exposed to X-rays. Nor does it involve any of the manipulation or squeezing of the breast that’s part of getting a mammogram. Thermography simply requires having a few pictures taken at a distance of several feet. So, why is mammography still considered the first line of defense against breast cancer? Could it be that mammography has become an industry in its own right? No screening method will ever prevent the occurrence of a disease. But early detection can lead to early action and in many cases a more favorable resolution. 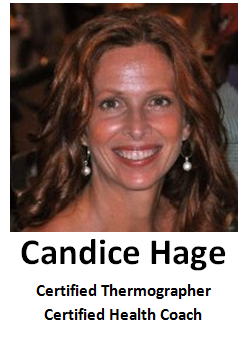 Several organizations offer referrals to places that have board-certified clinical Thermographers. One such group is the International Academy of Clinical Thermology, at http://www.iact-org.org/.